Earth has been in the space business for only a few decades. But how far have we come since the early days of rocketry—from artificial satellites to Moon misions, probes to the farthest reaches of the Solar system and encounters with Halley’s Comet, to shuttles, spaceplanes, and space stations, to joint missions to Mars. In this volume, Isaac Asimov examines the contributions of a variety of nations and cultures to the exploration of space. This book might perhaps be more aptly titled Space: What Is It Good For?, because it really isn’t about the world’s space programs at all. Sure, it mentions the US landing people on the moon, space stations, and the shuttle—but that’s about it. I was expecting from the title something more like, “This is NASA and this is what NASA has done and is doing,” and “This is the ESA and what the ESA has done and is doing,” and so on—but it isn’t. 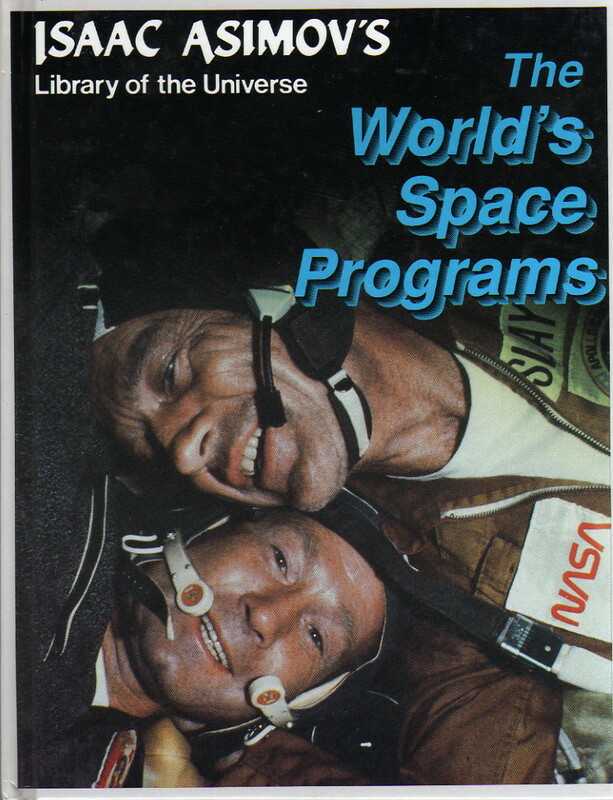 The book is about what we have done in space, and what we can still do in space and might do in the future. Even at that level, it isn’t all that exciting, and I can only give it a lukewarm recommendation for the target audience. As for adult readers—this is the kind of thing that Asimov covers extensively in his science essays; read them instead.